The dreamhunting began as a beautiful thing, when Tziga Hame discovered that he could enter the Place and share the dreams he found there with other people. But Tziga Hame has disappeared and Laura, his daughter, knows that the art of projecting dreams has turned sour. On St. Lazarus’s Eve, when elite citizens gather at the Rainbow Opera to experience the sweet dream of Homecoming, Laura, determined to show them the truth, plunges them into the nightmare used to control the convict workers. The event marks the first blow in the battle for control of the Place, the source of dreams. Then, when Laura’s cousin, Rose, uncovers evidence that the government has been building a secret rail line deep into the Place, Laura follows it to find out what lies at its end. 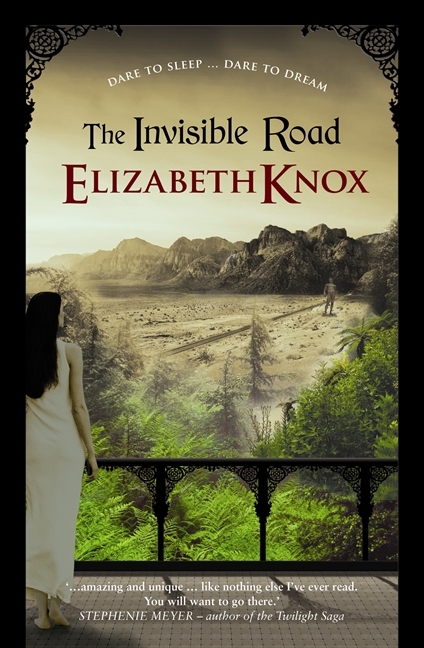 As she struggles to counter the government’s sinister plans, a deeper mystery surfaces, a puzzle only Laura can unravel, a puzzle having to do with the very nature of the Place. What is the Place, after all? And what does it want from her? ‘Knox’s whole detailed construction will enchant daydreamers, right-brain thinkers and creative visualizers everywhere. ‘… an audaciously imagined and ingeniously constructed tale that transplants old-world myths into new-world soil to stunning effect … Reader, the earth moved. Knox’s uncanny talent for literalising metaphor and for metaphorising the real world is on full display here: feet of clay, hearts of stone and glass, singing hills, roads and rails to nowhere, burning passions, and everywhere, true grit. Stylistically, Knox favours the plainest verbs in the toolbox and is not much given to scene-setting, but nonetheless constructs a world that is alluring and convincing. 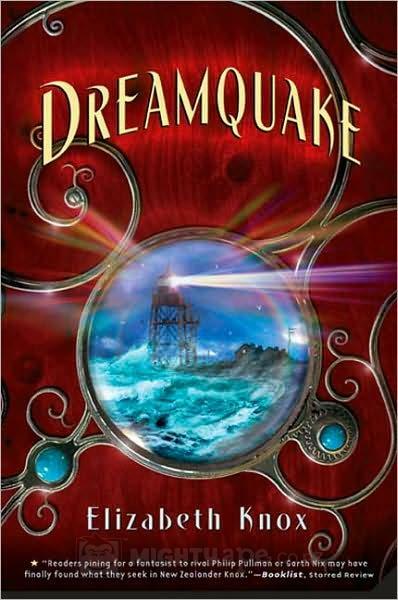 Dreamquake won a Michael L Printz Award in 2008 and an ALA Best book award in the same year.